Have you ever been punched in the stomach? You know, just hit so hard that it knocks the wind out of you and all you can do is sit there and try to catch a breath. That’s how I felt after reading this book. Each and every story packs such a powerful punch it’s hard to say which is the better one! 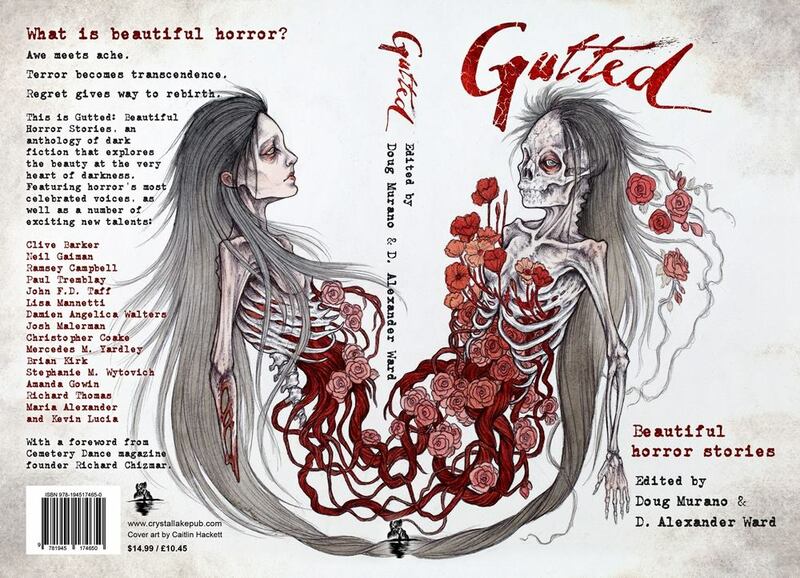 Kudos to Doug Murano and D. Alexander Ward for gathering together such a stellar collection of stories that so aptly go with both the darkly beautiful cover by Caitlin Hackett and of course the title… Gutted: Beautiful Horror Stories. When you see a TOC like this, you just know it’s going to be GOOD!! Read this poem and then look at the cover again, this is a poem of empowerment. It encompasses the body of the book and is a great introduction to the stories within. A child abducted, and as hope begins to wane of ever seeing her again the unimaginable happens… she is found. But, can things ever go back to what they were? A father’s love is pushed to the limits. It is said, ‘All’s fair in love or war’. But, what does that really mean, and how far should one go? Survivor’s guilt, what a cross to bear. Or is it remorse? ‘Why not me?’ one may ask. I’ve heard it said that the soul will linger at the site of death until it can find a resolution. A group of kids ready to party are soon to find out whether this is true. Love comes in many strange forms, it’s just a matter of finding someone who is willing to accept what one willingly has to offer. This is a splendid interactive story where you, Dear Reader… are able to choose your path through the chapters. The outcome is up to you! Such a sad story of choices. How can one be sure which is the correct answer, until the choice has already been made? When one’s soul has been blackened so darkly can there be any room for atonement? The grieving process comes in many forms, if one is not careful it has a way of swallowing you whole. Oh my, I wanted to cry. How could a birthday gift go so terribly wrong? As in Androcles and the Lion, we find good deeds are rewarded when Laticia summons the courage to rescue a dog. 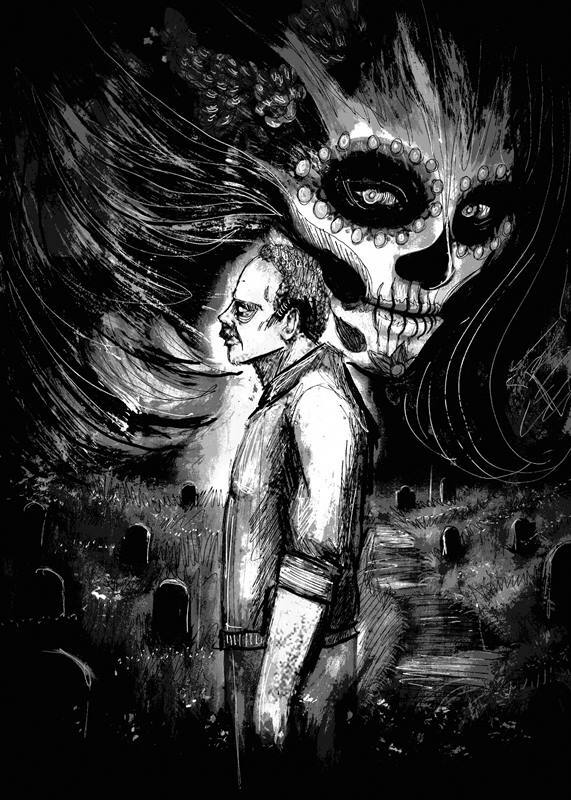 Ah, Day of the Dead… it’s the one day every year that we can visit with our loved ones long gone. Whitey has a date and a promise he aims to keep. A brother’s love for his little sister can be a powerful thing. So powerful in fact, that it can raise the dead! Does anyone truly know who we are? Or, better yet, do you truly know who you are? To tell a story you must first own it. Uncle Lucian has been telling young Colin stories for years, now it’s Colin’s turn to tell his story. It would be remiss of me not to mention Luke Spooner. His beautifully done artwork graces the pages of this fine book. 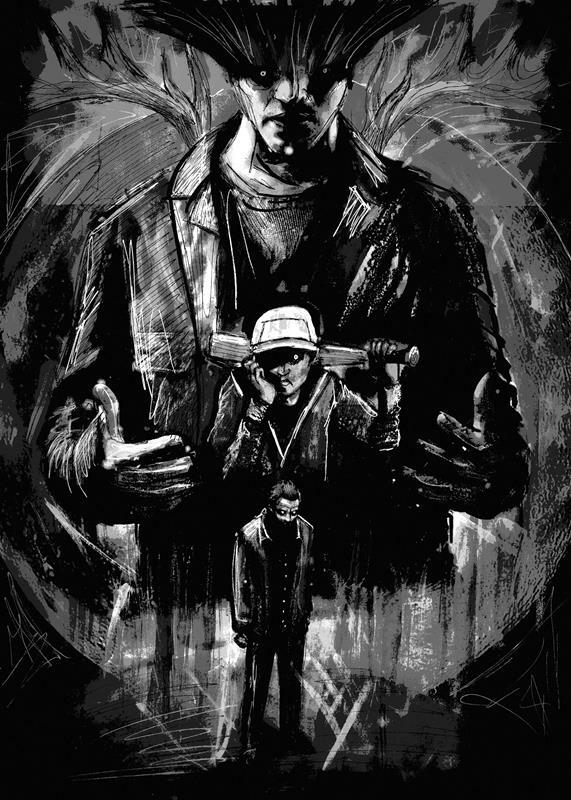 Or, to mention Crystal Lake Publishing for bringing this book our way. 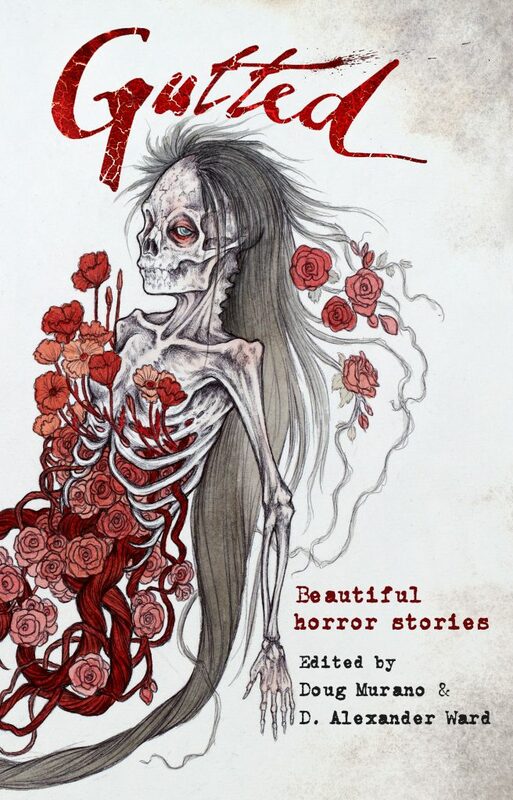 Truly one of the best anthologies I have ever read. Available in both e-book and paperback format you can get your copy HERE! I’m getting this book. I love Barker and Gaiman. Great review, glad I pre-ordered this.